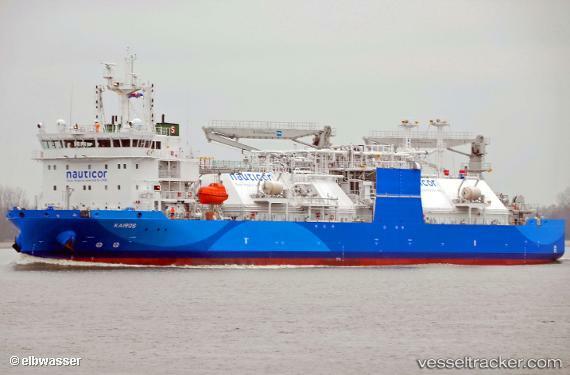 On April 15th, 2019, the world’s largest bunker supply vessel (BSV) for liquefied natural gas (LNG) “Kairos” provided LNG in a ship-to-ship bunker operation to a product tanker. “Fure Valö”, a vessel of the tanker pool managed by the Gothia Tanker Alliance, received LNG at the anchorage area of Sandhamn, near the Swedish capital of Stockholm. The bunker operation was the first offshore ship-to-shipoperation that was conducted by the 117 meter long BSV. The bunker operation was conducted under an agreement for the supply of LNG, which was signed at the end of 2018 by Furetank Rederi, a member of the Gothia Tanker Alliance, and Nauticor. The agreement covers the supply of LNG from the BSV “Kairos” to the LNG-fuelled product tankers, which are owned and operated by members of the Gothia Tanker Alliance, including the retrofitted product tanker “Fure West” and six newbuild vessels, one of them being “Fure Valö”. Malaysia’s state energy firm Petronas said on Thursday it has supplied its first liquefied natural gas (LNG) cargo to a marine-fuel vessel ahead of a new mandate for ships to switch to cleaner fuels in 2020. Its subsidiary, Petronas LNG, loaded the first such LNG cargo onto the world’s largest LNG bunker vessel Kairos at the Regasification Terminal Pengerang (RGTP) located in southeastern Johor, the company said in a statement. Kairos has a capacity of 7,500 cubic metres, and it stopped in Malaysia to refuel while making its way from South Korea’s Hyundai Mipo Dockyard in Ulsan to Europe, Petronas said.